We really enjoyed Cookie Week here at Lucy Jane’s and we hoped you liked it, too. With all the holiday baking going on, my sweet tooth is in full effect! How about you? So imagine my delight when my mom brought over this Brownie Cake for dessert when we all got together for a family dinner. She has been making this for years, and it is one of my all time favorites. 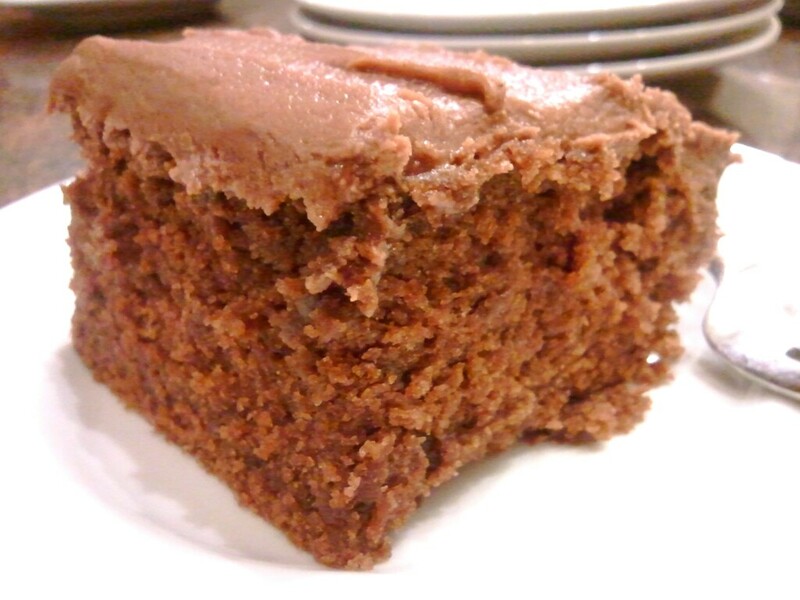 It is moist and chocolatey and definitely a crowd pleaser. You will be loved and adored if you bring this to your next family dinner, I promise! Melt butter and chocolate in a saucepan. Add water and boil for 2 minutes. In a mixing bowl sift together flour, sugar, salt and baking soda. Combine sifted ingredients with chocolate mixture, eggs, milk and vanilla. Beat with a mixer for several minutes until creamy. (batter will be thin) Pour into a 9×13 greased pan. Bake for 30 minutes. Let cool and frost! Melt butter and chocolate in a saucepan. Add milk and boil until it thickens and begins to separate. Add this powdered sugar, and mix with electric mixer until very creamy. Stir in vanilla. This looks amazing. I love brownies and now brownies in a cake-like form, perfect. 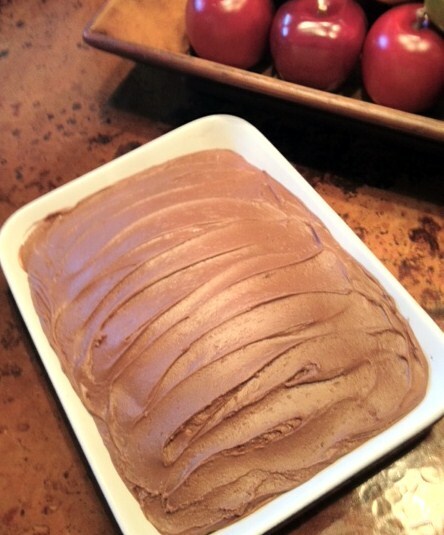 I wonder if we could take my Kahlua Brownies and adapt them to this recipe. Anyway, glad I stopped over form Skip to my Lou! Sounds great, I love brownies but sometimes find them too rich, I bet this would be perfect. Now that’s my kind of cake!!! Brownies = YUM! Thanks for sharing on Crazy Sweet Tuesday!